I wanted to share something I wrote when I was 17. I used to dabble in poetry in my younger days, and I actually wrote this for my husband when he and I were first dating. Out of everything I’ve written, this one remains etched in my brain because it was so different from anything I had ever written. As I was taking a morning stroll, I saw something glistening alone in a field. I couldn’t keep from staring at it wondering what it was. My curiosity soon won me over and led me to this lonely object. As I came closer to it, I realized it was a rose lightly kissed with the morning dew. I couldn’t understand how or why it was all by itself. It was so beautiful yet needing something. Not sure what, I picked it from the ground trying to be careful of its thorns. As I looked closer, however, I noticed that unlike most roses, this one had none. The petals were perfect in their shape and formed the most perfect rosebud I’d ever seen. Then an illuminating fragrance danced around my nose. The rose had a wonderful fragrance unlike any other flower. Simply holding this rose in my hand made me feel alive inside. At that point, I realized what this beautiful flower had been missing. 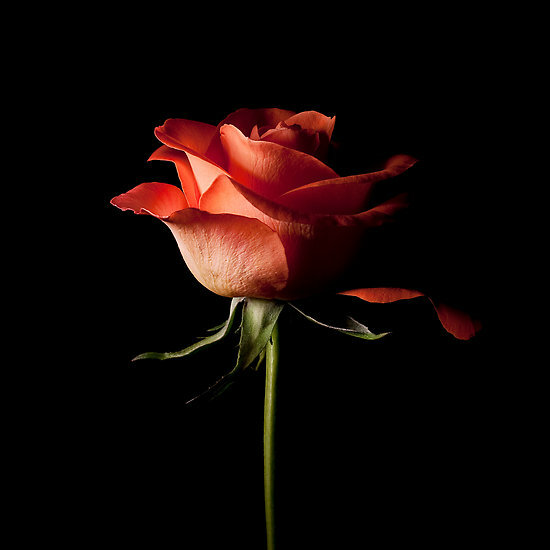 It needed someone that would take care of it and love it for what it truly was; not just a rose, but a beautiful part of nature that God led me to find. If I had read this, I had forgotten.